Dr. Ira A Berman grew up in Brooklyn, N.Y.. He graduated from Boston University with a B.A in biology in 1987. He then studied at Tufts University School of Dental Medicine, where he received his DMD degree in 1991. After finishing dental school , he completed a 2 year residency in Dental and Oral surgery at Brookdale Hospital and Medical center in 1993. 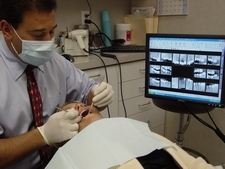 He began treating patients at Comprehensive Dental Group in 1994. 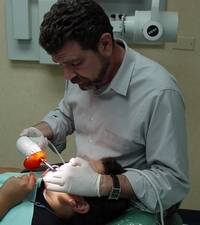 Dr. Berman provides all types of dentistry, with an emphasis on the latest cosmetic and orthodontic techniques. He married his wife Dawn in 1999 and they have a son, Zachary. Dr. Berman is a member of the American Dental Association, Academy of General Dentistry, American Academy of Functional Orthodontics, and International Association of Orthodontics. Dr. Simon, also a Brooklyn native, graduated from Brooklyn College in 1969 with a B.A. in Biology. He subsequently studied at New York University College of Dentistry, earning his DDS degree in 1973. After spending six years in private practice he pursued his postgraduate dental education in Pediatric Dentistry, a two year specialty program at Harbor/ UCLA Hospital in Torrance, California, which he completed in 1981. After residing in California and Taiwan, Dr. Simon returned to the NYC area and began his Pediatric Dental practice at Comprehensive Dental Group in Larchmont in 1986. Additionally, his pursuit of continuing education in the field of Orthodontics has allowed him to expand the scope of his practice to include Orthodontic treatment as well. Dr. Simon's unique blend of skills and personality have enabled him to establish many long-lasting relationships with area residents. He cordially invites you to become a member of the CDG family. Dr. Kwag spent his childhood years in his fathers dental practice in South Korea, which inspired him to become a dentist. He moved to Long Island, N.Y., and graduated from Stony Brook University with a B.S. in Biology. He then received his DDS from New York University College of Dentistry. Dr. Kwag completed a general practice residency at Flushing Hospital Medical Center. He is currently a member of the American Dental Association (ADA) and New York State Dental Association. Dr. Kwag provides comprehensive and evidence based dentistry that is best suited for each of his patients. In the event that root canal therapy is needed, our office provides the services of Dr. Joshua Chubak DDS, a Board Eligible Root Canal Specialist (Endodontist). 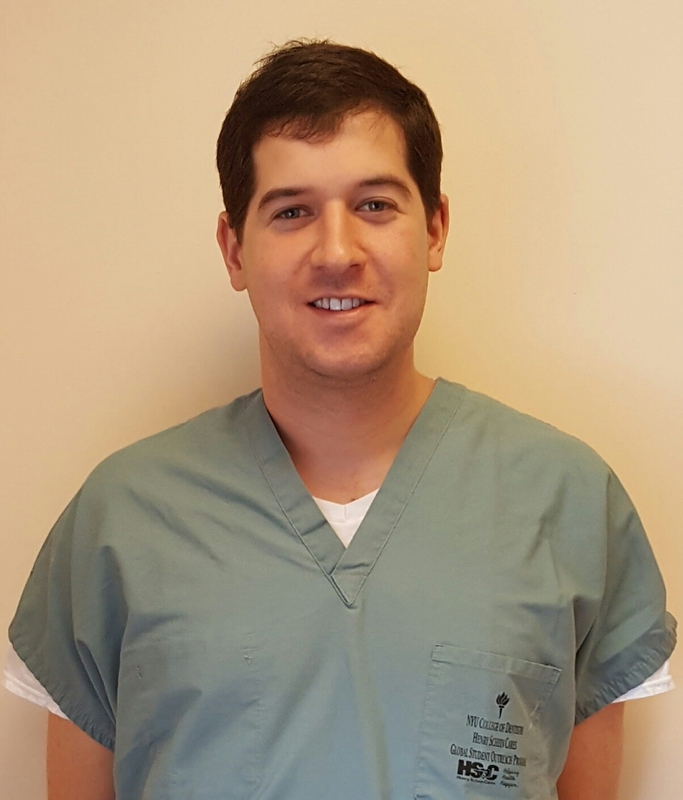 Dr. Joshua Chubak is a board eligible specialist member of the American Association of Endodontists. An endodontist is a dentist who specializes in saving teeth by performing root canal therapy, or related surgeries and treatments. Withd a focus on biologically based patient care using the latest technologies, he aims to treat each patient with the most up to date and comfortable care. Joshua Chubak is a native New Yorker. 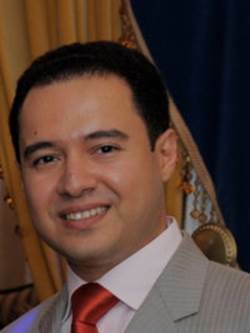 He received his DDS degree from New York University College of Dentistry (NYU). 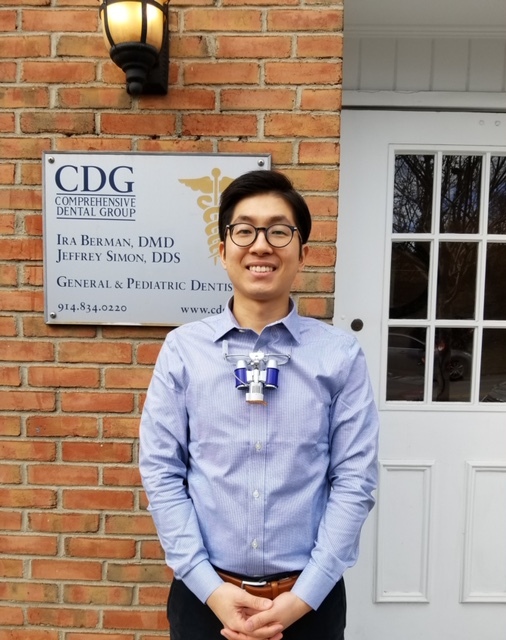 Afterwards, he completed a one year residency at the Lutheran Medical Center Brooklyn Heights Campus Hospital – training in all aspects of dentistry . He then went on to complete his Advanced Specialty Training in Endodontics at NYU. A root canal procedure requires one or more appointments and can be performed by our endodontist ( root canal specialist). Once the tooth is thoroughly cleaned, the root canals will be sealed with either a permanent filling or, if additional appointments are needed, a temporary filling will be placed. Dr. Joseph Aronoff strives for excellence and provides ultimate attention to detail in all of the services he provides his patients. He received his D.D.S degree from NYU College of Dentistry in 2001. He then attended Temple University School of Dental Medicine, and earned his Masters Degree and Specialty Certificate in Periodontics and Oral Implantology in 2005. Furthering his achievements, Dr. Aronoff became a Fellow & a Diplomat of the International Congress of Oral Implantologists in 2007. Dr. Aronoff provides comprehensive and innovative solutions to each of his patient's particular oral health concerns and needs. He has a great ability to customize individual treatment plans to meet each patients' desires, resources, and time availability. He has a calming manner and is known for his gentle touch. Dr. Aronoff is a talented surgeon whose patients and dentists appreciate the esthetic and functional results he consistently delivers. Dr. Aronoffs training covers all aspects of periodontics and implant surgery, including soft tissue and hard tissue reconstruction, bone grafting, and gingival (gum) grafting. Do one of our specialities interest you? Need a free consultation to see if its right for you? If so, schedule an appointment with us in Larchmont, NY today! We look forward to hearing from you!